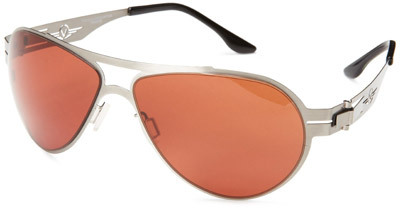 Stitanium Silver Frame with SolarMax Copper-Rose Lens. Includes a felt-lined smash proof clamshell case and a microfiber cleaning cloth. Review: In fact I did. My girlfriend loved them so much I bought a pair for her.